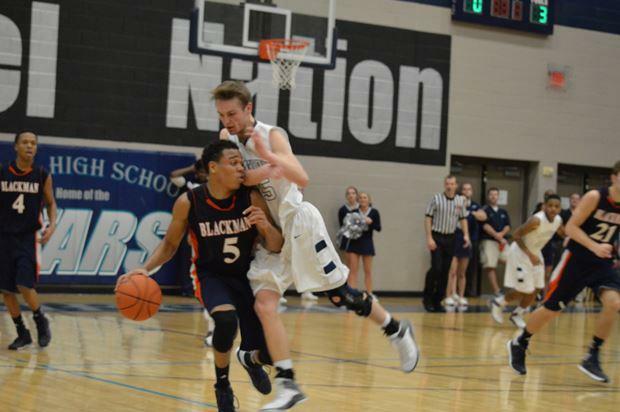 Last year, Blackman was undefeated going in the region championship game. Siegel was playing the role of spoiler. They took the Blaze to overtime before Blackman finally wining 60-56. This year, after a regular season sweep of Blackman, Siegel was undefeated and looking for a tournament title. But Blackman took their third district tournament title in a row. These two teams have a lot of postseason history and that will play out tonight (Thursday) at Siegel in the boys Region 4-Triple-A title game. Twice in their 11 year history, when the Stars have lost the district tournament championship game, they came back to win the region title. Last year was the first year they had to travel in the sectional tournament. Both teams were state tournament teams last year, with Blackman losing in the opening round to Brentwood and Siegel getting to the final four before losing to state champion Dyer County. The tipoff for tonight's Blackman versus Siegel battle will be at 7pm and WGNS State Farm coverage begins at 6:45pm with the DirecTV by EnterSource Pregame Show.